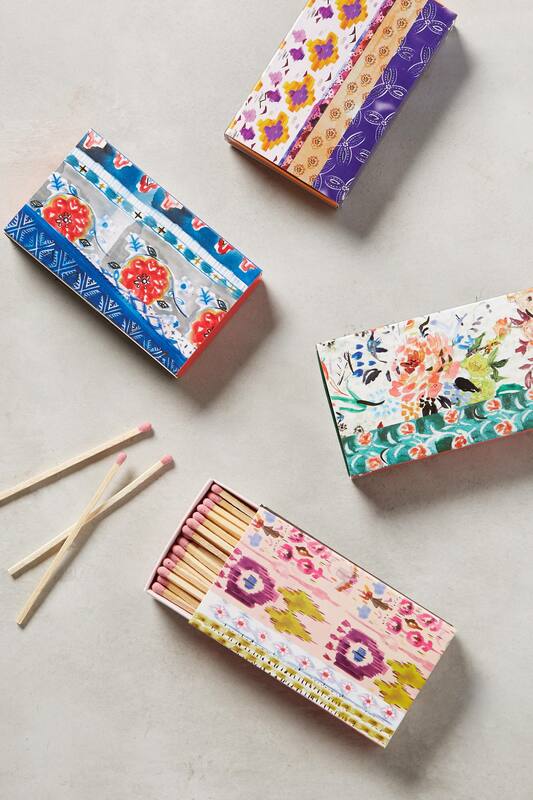 These Iverna Matches from Illume are a colorful addition to your coffee table, bathroom, kitchen, or bedroom. Combined with a candle, they make a delightful gift too! $6. Buy here. 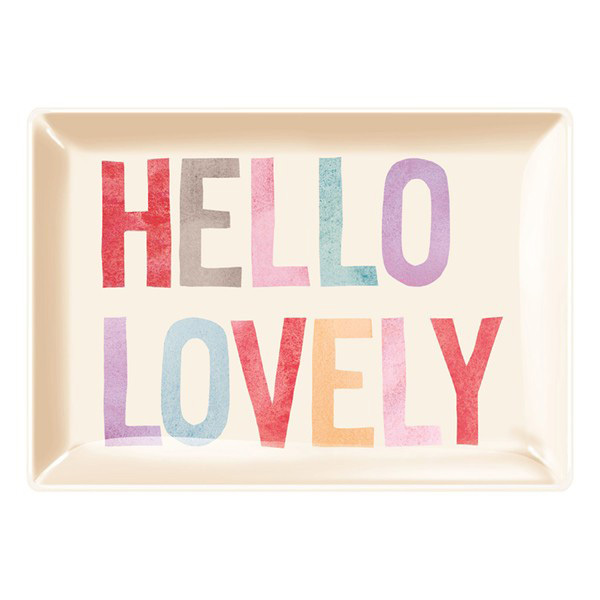 Lively lettering is kiln-fired to this glossy Hello Lovely Glass Trinket Tray that makes a whimsical display for coins, keys, jewelry, nail polish or other small essentials. $16. Free shipping. Buy here. 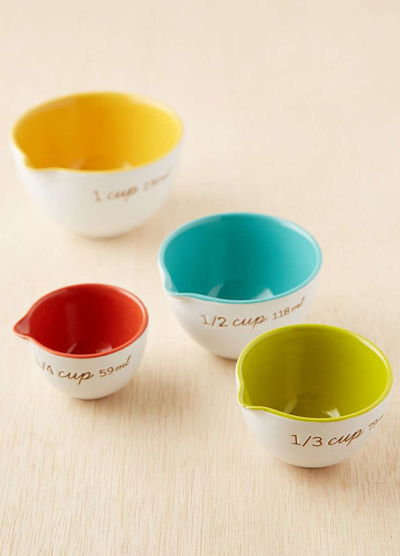 This colorful Ceramic Measuring Cups Set includes four ceramic measuring cups in standard sizes. Hand-painted design with embossed size in standard and metric. Sized to nest together so you can keep them all in one place or store them individually. $29. Buy here. From jots to journal entries, this Rainbow Pencil Set by Chronicle Books ignites the scribe in you! 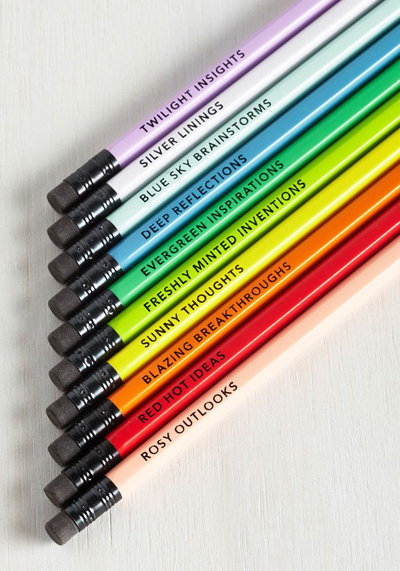 Inspired by the positive phrases etched into each graphite pencil, you’re ready to hone in on your creative craft. $12.99. Buy here.